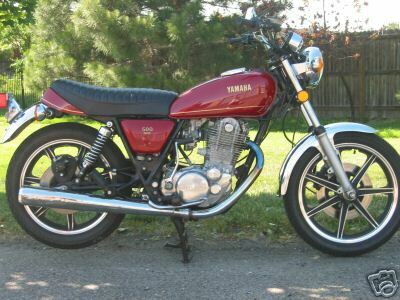 A reader recently wrote in a question addressing my apparent lack of interest in the Yamaha SR500 singles. Just stumbled upon your site, awesome. I just can’t understand with all of the great motorcycles that you’ve chosen, how you don’t own an SR500. 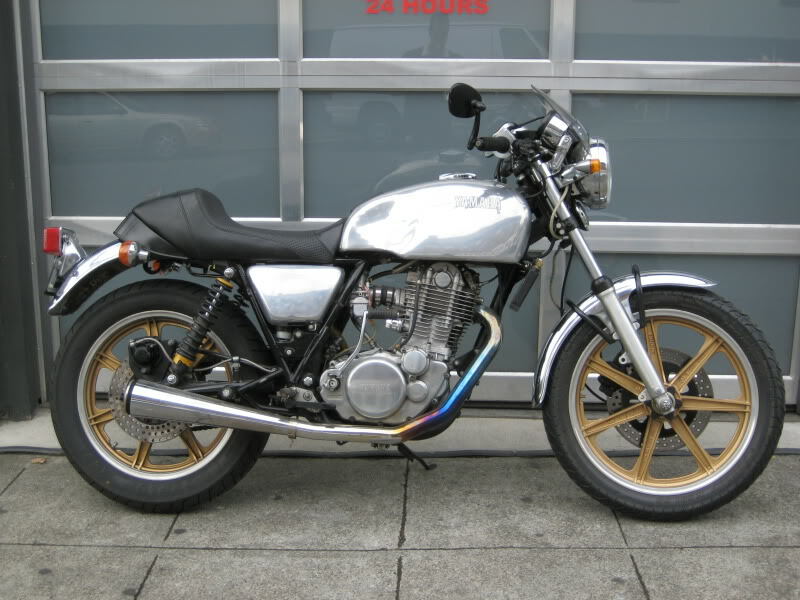 The xs650 is fun, the XS1100 is fast, the XS400 is cute, but the SR500 is just plain cool. Get one. Well Todd, I certainly hope I haven’t given off the impression that I don’t dig the SR500’s. I am a man of all stripes and don’t hold prejudice against any motorcycle (well, I can think of a few…), and certainly not any single cylinder vintage ride. 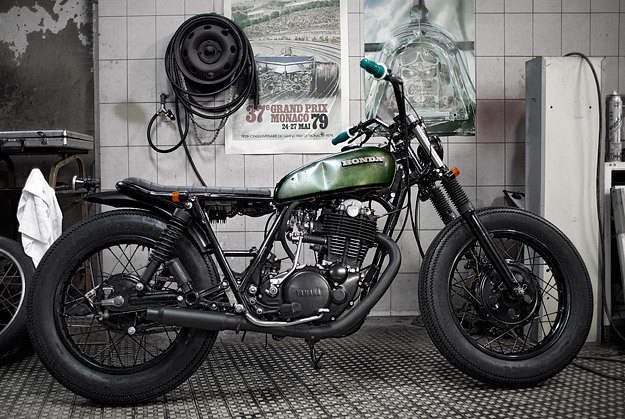 The Yamaha SR500’s are wonderful bikes in both stock and modified form. They actually still produce them in a 400cc variety sold overseas – if only the American consumers would get their heads out of their asses and wrapped around a bike that doesn’t weigh 600 pounds. Unfortunately the popularity the SR500’s have garnered in recent years from people like yourself have sent the prices way up. They sold quite a large number of them when they came out in 1978, but compared to other models at the time they are few and far between. The people who have them, love them, and the people who want them seem to drain their wallets for an example that needs a lot of work. It’s hard for me to justify such an inflated price for such a simple bike. They are however certainly a long lived bike, and a very durable single. In fact, the motors were developed by the same team that did the XS models, which might explain why they are so stout. I think what has contributed most to the desirability of the SR500’s in the US in recent years are new builders who want to do a frame up custom bike and see the SR500 as a very simple platform to work with – which it is. They are smaller framed and easier to work with than the comparable twins and fours, and provide a very clean look that’s easily adaptable to a wide variety of styles. 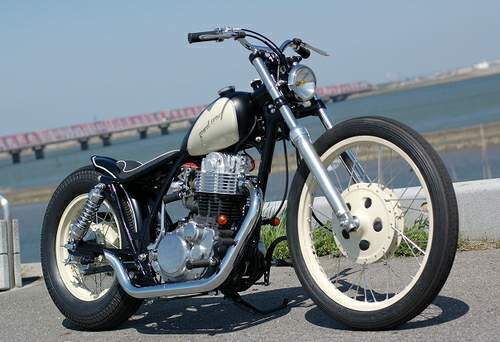 There have been a lot of chopper guys using the SR500’s lately to build some pretty spectacular examples. Here is one build by the Gravel Crew that has had some internet fame recently. They of course also lend themselves effortlessly to a cafe style bike. This one in particular I like. I’m not big on chromed bodywork, but the builder absolutely nailed the seat. One of the nicest shaped seats I’ve seen in a while. The brat revivalists have been having a field day with the SR500’s as well. But the SR500 brats are always reminiscent of the TW200’s whose popularity have also been exploding with all the trendy motorcycle scenesters. I almost hate to admit it, but I do like his bike built by Blitz. The ratty tank look with artifical wear and dents makes me want to puke, but never-the-less it turned out nice. As you know I love many of the other Yamaha bikes from that era, and I also drool over single cylinder bikes of many varieties. The SR500 just hasn’t found it’s way into my garage as of yet. No one is more surprised than I am. There have just always been other comparable bikes of the same vintage at much lower price points. I will own an SR500 in the near future, you can bet your *ss on that. But for right now, I’ll just have to dream. Any restoration shops in Philly who work on Triumph & Matchless?Got a service manual for a 1981 Yamaha XS400 Special II?